I am the Co-Founder/Desinger at Servi Store [www.servistore.com.au]. 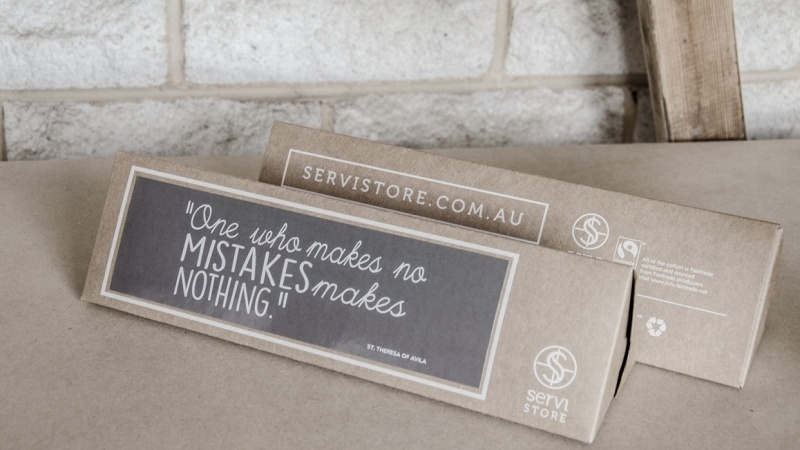 Servi Store is a unique initiative from Melbourne, Australia selling trendy and eco-friendly products with artworks featuring inspirational quotes. They are crafted and sourced using fair, ethical and sustainable processes. The tees our customers purchase will be individually packed in our awesome triangular tube boxes made of recycled paper. The box will feature the same quote as on their tee and will look great on a desk or benchtop!